Discover places where many stories from the New Testament were born - like Nazareth and Capernaum or the Talmudic village of Katzrin. Enjoy the peaks of Mount. Arbel, the hot springs of Hammat, take a walk along the Jordan River or challenge yourself to white water rafting. Hotel Prima Galil , resting on a hilltop in the midst of historic Tiberias, will allow you to quickly sense the North’s natural beauty, history and spirit, served as the inspiration for our hotel’s design & ambiance. Tiberius is located between the shore and the slopes of the Sea of Galilee. With a Mediterranean climate; mild winters, hot summers, and annual precipitation around 400mm, Tiberias is a wonderful place to visit in the North of Israel. As the city is based around the Galilee Lake, the small port on the shores of the Galilee became the center for both fishing and, more so, for tourist activities. Plus, the Sea of Galilee is one of Israeli’s main sources of water. Over time, the city developed into a major tourist area, with many Tiberias Hotels, becoming a center for Christian pilgrims, Israeli tourism and international tourists, as Tiberias, a Central Northern City in Israel, became a base for tourists traveling to the amazing areas around and within the city. Tiberias, resting by the Galilee & Golan in Northern Israel, is a graceful land of striking beauty, lush green mountains & hills, a multitude of hiking trails to such wonders as waterfalls and steep over-hanging cliffs. Tiberias hotels are of often ready to show you the best hiking trails, all within less than an hours drive.Tourists also do not need to worry about accommodation as there are many Tiberias hotels waiting to show you the natural history of the area. With maps of the many hiking trails, natural beauty spots and more. For example, The Majrase and Ziki Nature Reserve, the largest reserve of fresh water landscapes in Israel, encompassing about 1,650 acres, is a natural wonder for our viewing! Christians, Pilgrims, and history lovers can find many great things to do in Tiberias, such as the Capernaum National Park, which is a Park that holds the remains of a fishing village from the time of Jesus. Apart from Bethlehem the area around the Galilee is the place most associated with Jesus; said to be where he spent most of his early years, taught his disciples and, coming straight from the New Testament, the Galilee region is said to be where Jesus was written to have brought light to humans. Moreover, Hamat Tiberias National Park, boasts an opulent synagogue and ancient medical baths, For Jewish history seekers or history seekers of any faith. Jewish relics to visit also include, the Synagogue at Hamat Tiberias. Culture tourists and history buffs can also find things to do in Tiberias, with the Man in the Galilee Museum-Yigal Allon Center, the Korazim ancient site, and Dona Gracia’s House in which you can get a tour of the Dona’s house and learn about her life as a remarkable woman who lied in the 16th Century as a banker and Jewish leader. Many famous religious leaders are buried in this culturally rich city. To name a few, Rabbi Meir, Baal Hanes, Rabbi Akiva, Ramhal, Rabbi Hia, The Graves of the Mothers, Rambam, Rabbi Maimon, Ben Yosef, Rabbi Yochanan, Ben Zackai, Rabbi Jerimaya. For tourist, international and domestic, Tiberias is a destination known for its health benefits. The Tiberias Hot Springs is a popular therapeutic and recreation soit. The site is fed by 17 different springs and the water is rich with some 100 different natural minerals whose heat reaches 39c, with separate bathing areas for men and women and the spa site with personal therapeutic pools, cosmetic mud pools and treatment rooms. It has been said many times that the five thermo-mineral springs of the area lead to many health benefits;bathing in these waters accelerates metabolism, renews skin cells and relives rheumatism, among other things. Tiberias is not only history and the Sea of Galilee with quaint Tiberias hotels dotting the shore-line, there are interesting and relaxing leisure activities. The Lakeside Promenade is a popular walk along the shores of the Lake and a lovely place to stop for lunch or a sunset dinner or take a Boat Ride from Tiberias to one of the Kibbutzim on the shores of the Lake while enjoying the view of the City. The shores of the Sea of Galilee are dotted with trees and lush, green lawns and the waters of the lake are clear as crystal. The eastern side has sandy beaches and offers water sports of all kinds. The Western side is stonier and not all the beaches are easy to reach. If you are looking to just relax and enjoy natural, historical, and fun experiences, Tiberias is for you. 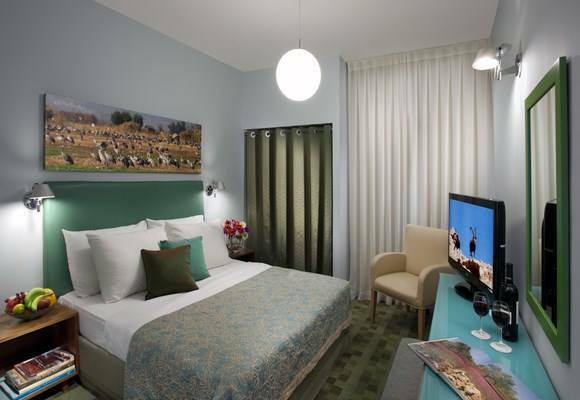 Resting on a hilltop in the midst of historic Tiberias, our central location is only one of the many perks of our hotel. 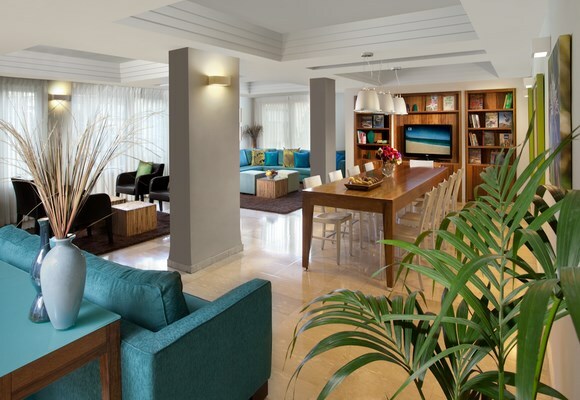 Our 73-room hotel in Tiberias delivers a warm travel experience that starts with its friendly staff.